In the summer, I visited the Chelsea School of Botanical Art and was able to see a class in action. This is about that visit and the courses offered by the school. 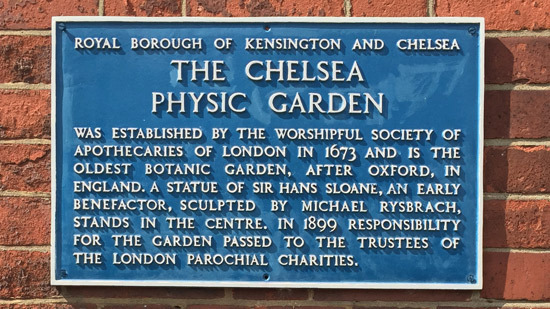 The School is based in a building at the Chelsea Physic Garden, founded by the Society of Apothecaries in 1673. 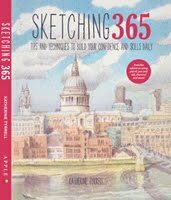 It's located at the Cheyne Walk end of the Royal Hospital Road close to the River Thames. 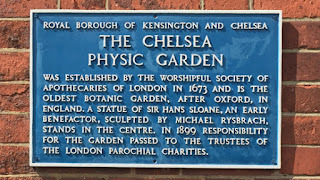 (You can read more about the garden in this 2008 post and the third section of Review: 'London's Secret Garden' Exhibition at the Chelsea Physic Garden). 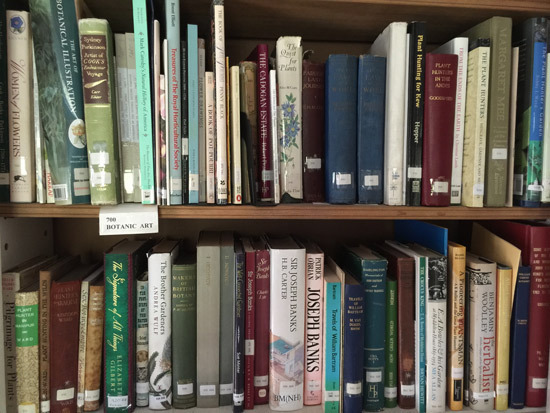 The School has the use of a very large, light and airy room in the main building plus access to the Garden's Library and obviously to all the very many plants in the Chelsea Physic Garden. The only problem I can see with the current arrangements is that it's not accessible for people who cannot use stairs. 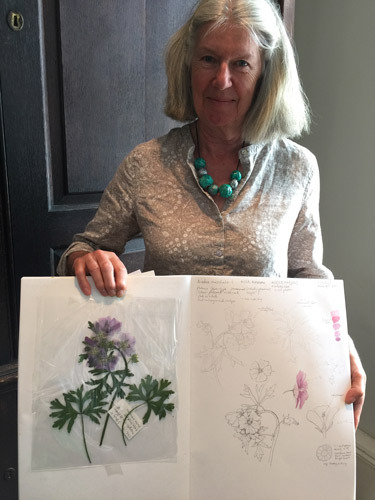 A botanical illustration course was originally taught in Chelsea by Anne Marie Evans under the auspices of the English Gardening School - also based at the Chelsea Physic Garden. It followed a regime for education set out in her book An Approach to Botanical Painting (which is now out of print - and second hand copies are very difficult to source). Anne Marie Evans retired as Course Director in 2004 and stopped teaching on the Diploma Course in 2009. Following her retirement, Helen Allen BA, PGCEd, Dip EGS, FLS was appointed the Diploma Course Director in 2005 having taught on the course since 2001. 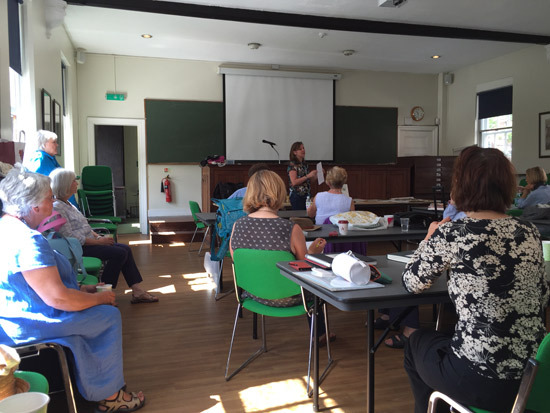 The English Gardening School then closed in December 2012 and reformed itself in May 2013 - but this time without any botanical painting courses. 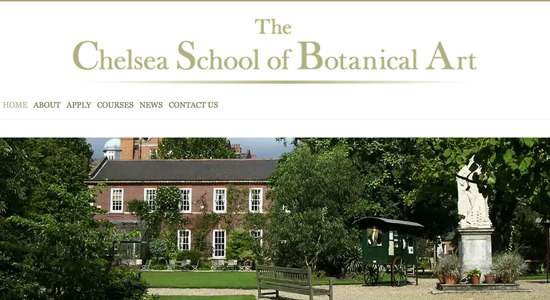 This is what led Helen to create the Chelsea School of Botanical Art, with both schools based at the Chelsea Physic Garden. 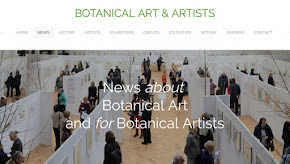 I was able to talk to Helen and her right hand woman Mary Ellen Taylor (Course Administrator) about the new courses offered by The Chelsea School of Botanical Art which came into being in January 2014. 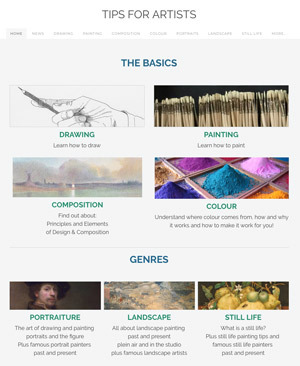 The School started by offering a new Diploma Course (click the link for an overview of the course content). So far two groups of students (2014 and 2015) have started the diploma course offered by the school. All I talked to were very complimentary about the course and the quality of the tutors. I was amazed at some of the distances students travelled to attend the course! 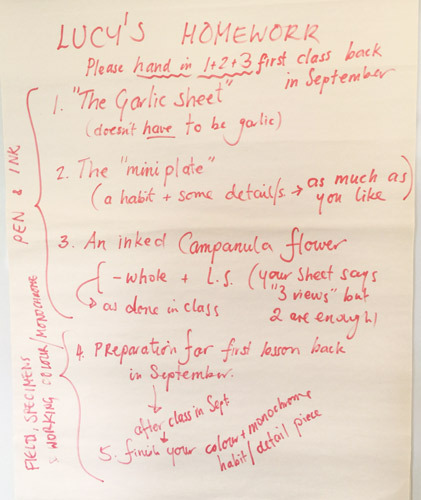 This post is illustrated with photographs from that class - which involved Lucy showing the students how to prepared plants for pressing in a plant press. Below you'll find my interview with Helen Allen. The bold are my questions and the text in grey are her answers. What does the School aim to do? 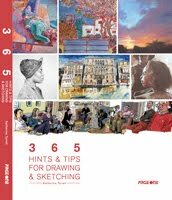 The school aims to prepare illustrators and painters to work confidently and independently to an extremely high standard. The school has developed an excellent team of tutors who work together with the administration to support the ethos and teaching of the school. How is the Diploma Course organised? The structure of the curriculum, based on sound educational principles, is designed to encourage endeavour and aid individual development. Botany is at the heart of the course, and illustrative techniques are where we begin this exciting and sometimes mysterious journey. 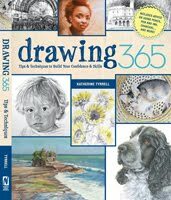 Drawing and painting techniques and compositional theories are learned in class. 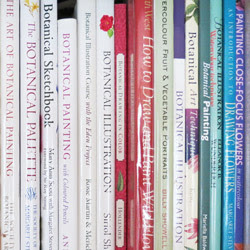 They are then applied to botanical subjects following Anne-Marie Evans’s unique 5-step approach to painting in watercolour. Research methods and use of resources for learning, such as London’s great galleries, museums and libraries, are also part of the process we teach and students are required to write and present topics in class. Working on complex forms and more advanced techniques helps students to complete work with finesse. Accompanied by aesthetics and the development of a critical vocabulary with which to understand and inform their work, students are able then to produce a final project to submit for the CSBA Diploma. Does it always stay the same or does the course evolve over time? Whilst the aims, objectives and structure of the course remain the same, the order of subject matter, delivery and timetable is constantly evolving to suit the dynamics and needs of each year group. What do you look for in diploma students? The diploma course is hugely demanding of students and their willingness to learn and practice techniques is paramount. 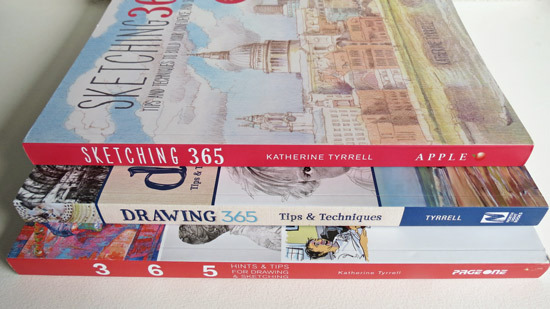 The 2016 Diploma course beginning on 11th January is now full with a waiting list. Applications are now being accepted for the 2017 Diploma Course in Botanical Illustration and Painting beginning January 2017. Information sessions will take place at the school during the autumn term 2015 and again in spring/summer 2016 terms. How do you cater for the different backgrounds, levels of experience and talents of different students on the course? There is always more than one way to teach and learn a single skill. We endeavour to find that path for every student to guide them towards reaching their goals. 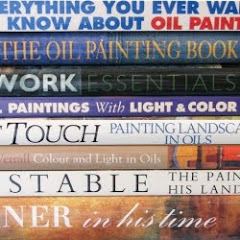 In the classroom original work is seen by tutors and by simply watching the way in which a student applies paint can prompt constructive criticism and help. Knowing the students, their approach to their work, their fears and woes, is helpful to their technical development. 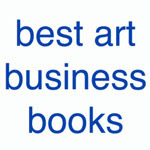 So many invaluable tips and asides are absorbed in the classroom as well as intelligent critique. End of the Class: The usual Teacher's Summary of homework for the holidays! 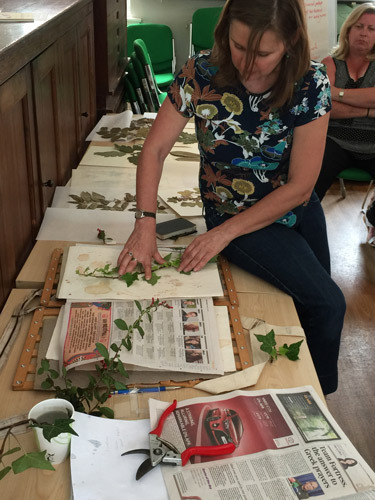 Subject matter for short courses and brilliant tutors widen the appeal for learning botanical art at CSBA. 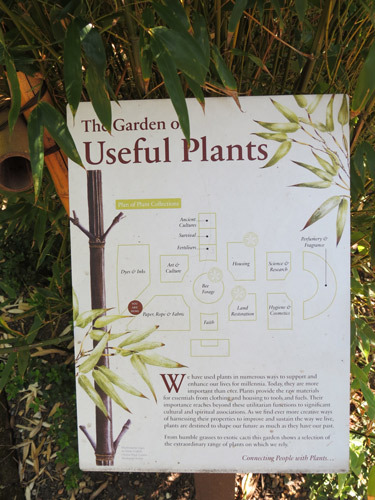 This is the sign for the Garden of Useful Plants - used for all sorts of different purposes. 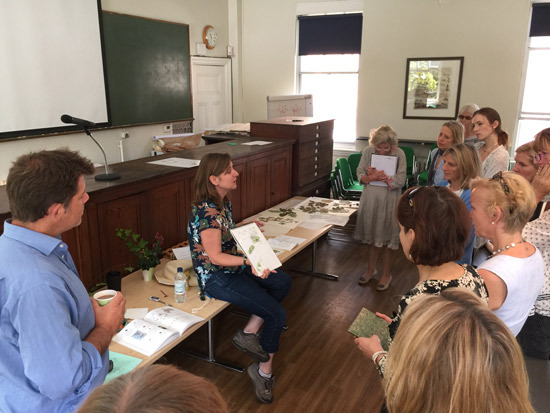 What's it like delivering a course in botanical art in the Chelsea Physic Garden? The Chelsea Physic Garden is steeped in history and the adventures of the sea captains and apothecaries associated with the garden provide a background and context for the courses. Where plants live and grow in abundance and the thread of botanical art through the ages is ever present we are constantly aware of the prefect marriage of science and art. J.M.W. Turner's House in Twickenham - open today!